One of the stand out features of this world cup has been the prominence of teams unfanced before the tournament started. First we saw Chile knock out champions Spain. 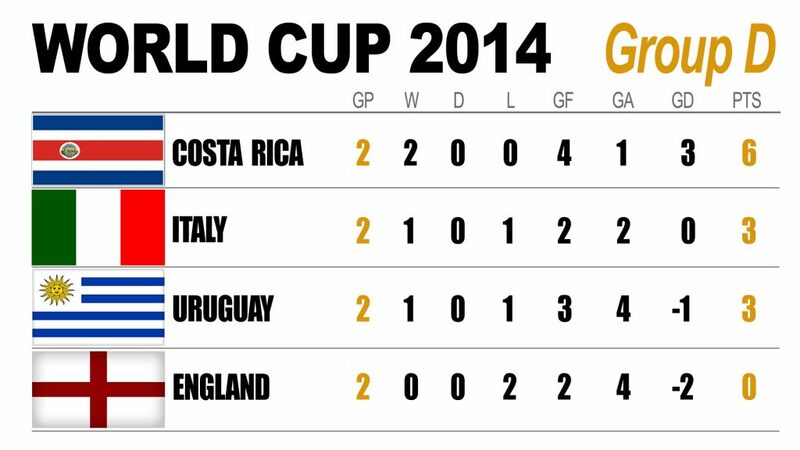 On day nine it was Costa Rica’s turn to upset the odds and qualify for the knockout stages. The Costa Ricans had already fired a warning when they despatched Uruguay 3-1 in their first match. This time it was Italy, another former World Cup winner, on the receiving end. A quality strike by Bryan Ruiz took all three points. A win that was richly deserved – and confirmed England’s elimination. Who would have thought this would be the Group D ranking before the final round of matches. On the European side of the equation, France were being written off by many experts before the tournament started. But Didier Deschamps has the French playing an attractive style of football that oozes goals and quality. 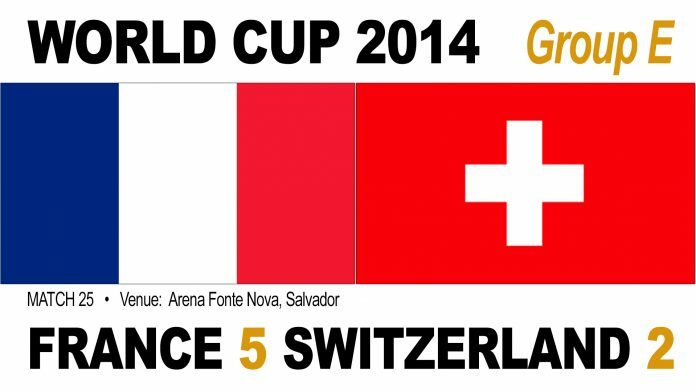 Two opening strikes in a breathtaking 20 seconds swept the Swiss aside. Even a missed penalty by Karim Benzema couldn’t derail this tour de force – Valbuena make it 3-0 before half-time. Then Benzema claimed his third strike in two games before Sissoko made it 5-0. Dzemaili and Xhaka restored some late dignity for Switzerland before Benzema was denied an absolute peach by the referee blowing his whistle before his spectacular strike crossed the line. I don’t want to sound unpatrioticiotic. But England’s predictable style of football will not be missed at a tournament where teams playing adventurous, attacking football are winning matches. France join Holland as one of the European heavyweights who could go all the way. Previous article2014 World Cup | Truth is Roy Hodgson’s England not world class like Luis Suarez!